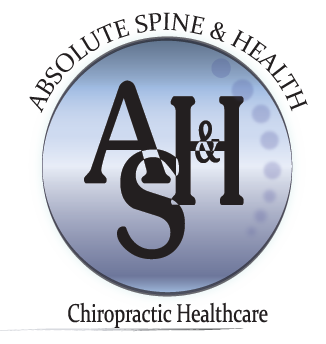 Welcome to Absolute Spine and Health! To schedule an appointment, please call 770-614-7242 or click below. your chiropractor in Suwanee. Call us today at 770-614-7242 ! Suwanee chiropractor Dr. Dennitra Weeden at Absolute Spine and Health is one of the best female chiropractors serving Suwanee and it's surrounding areas including: Duluth, Buford, Lawrenceville, Norcross, John's Creek, and Snellville. Dr. Dennitra Weeden is a chiropractor committed to providing quality chiropractic care and pain relief for many symptoms and conditions so that you can have a higher quality of life. Specializing in auto accident injuries, work injuries, low back pain, sciatica, headaches, neck pain, arm pain, upper and mid-back pain, scoliosis, carpal tunnel, fibromyalgia, and common childhood conditions such as: ear infections and bed wetting. Don't just take our word for it though; visit our testimonials page to see what our patients have to say. At our Suwanee chiropractic office you will receive the best care through the use of modern chiropractic techniques and technology. Dr. Dennitra Weeden and the staff at Absolute Spine and Health have a genuine concern for your well-being and health! We are pleased that we accept most insurance plans including: United Healthcare, BlueCross BlueShield, Cigna, Aetna, American Specialty Health, Great West, Starbridge, Fundamental Care, Medicare, Auto Insurances, and more! Call us today, and we can develop a chiropractic plan specific for you! To receive free wellness and health articles subscribe to our bi-weekly newsletter. If you are already a newsletter subscriber, please explore the member wellness section of our website for animated exercise videos, wellness articles, chiropractic resources, and health facts specifically targeted to your wellness needs and interests by Dr. Dennitra Weeden.